Encore District Condos VIP sales will start very soon. Located in the heart of the world-class theatre district, this new property is just moments from elegant dining, convenient shopping, and of course, Canada’s best live theatre. With prices for Encore District Condos well below the benchmarks for the city of Toronto, and more specifically Downtown Toronto- these will certainly sell out quickly. With VIP prices starting from approximately 500’s you really cannot miss this offer. At any stage of this development, we can help guide you through the buying process for units in this building! 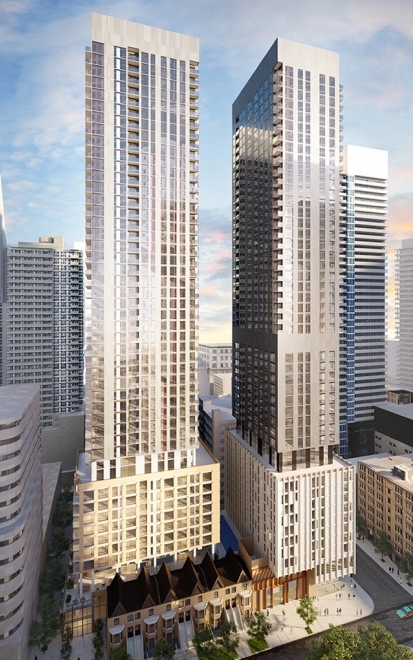 Encore District Condos will take centre-stage at Adelaide and Spadina in the heart of Downtown Toronto. This is a pre construction condos located at Adelaide St W and Spadina Ave. This skyscraper will have 49 Storeys and 180 units. This premium project has 100/100 Transit Score and Walk score of 100/100 as well. King West is known for district landmarks like the Financial District, the Entertainment District, and the Theatre District, and they are all just a few reasons why this pocket of downtown Toronto is buzzing, day and night. 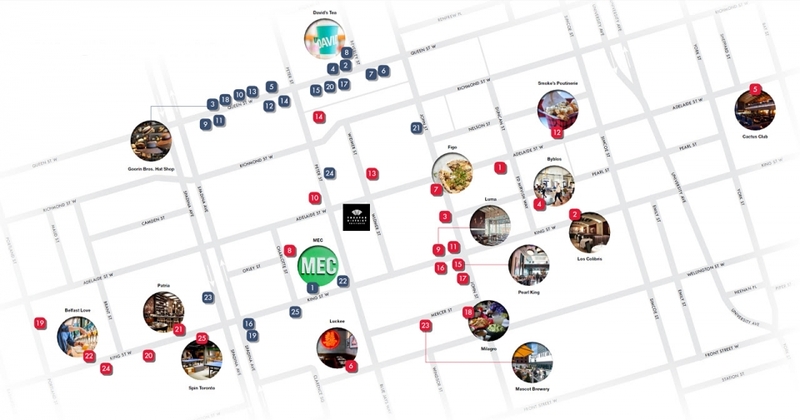 Enjoy this location's perfect Walk Score of 100/100 by visiting nearby attractions, such as The Rogers Centre, The Air Canada Centre, Ripley’s Aquarium, tons of popular pubs and delicious restaurants. 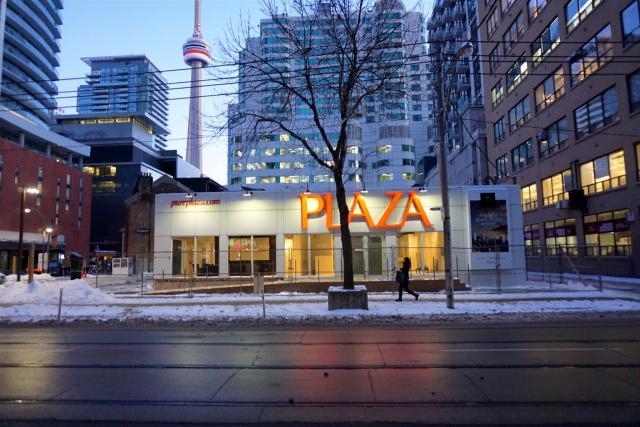 With over 5,000 condominium suites either already completed or under construction in Toronto, Plaza is one of Toronto’s most experienced residential condominium construction and development organizations. Plazacorp Urban Residential Communities were among the first condominium developers and builders in Toronto to include such finishes as granite counters and floors, marble bathroom counters and floors, halogen lighting, undermount sinks, porcelain tile, engineered hardwood floors and stainless steel appliances, as standard features rather than extra-cost upgrades.